Wolves Dressed As Sheep: A Mary Kay National Sales Director Demonstrates Deceit In Sales – F.A.C.E.S. Like wolves in sheeps’ clothing, Mary Kay Cosmetics and its predatory sales force likes to lure its victims with the motto: God (or Faith) first, family second and career third. As the motto specifically targets an individual’s value system, it is one that is both deceitful, manipulative and treacherous to those women (and their families) who believe that the motto is truly practiced by those in the pink pyramid. Unfortunately, that sales pitch is so appealing to so many of Mary Kay targets that they fail to recognize the lies and deception that soon envelope their existence. To make matters worse, because Mary Kay’s predators often use Christianity and twist Bible verses to manipulate their targets, many women never catch on to the amount of manipulation and deceit within Mary Kay’s sales force–until it’s too late. Moreover, the fact that it starts at the top of the Mary Kay pyramid is what damages so many women and their families. Dacia Wiegandt began her Mary Kay career in July 2001. In fact, one of her spawns is fellow National Sales Director Auri Hatheway. Based on the size of her and her spawns’ areas, as well as the amount of training she sells and personally provides each year, like a virus, it is safe to say that Dacia Wiegandt has “touched” the lives of tens of thousands of women in her 12-year career with Mary Kay. Women whom she has trained personally–and those her trainees have trained. This is why, when a woman like Dacia Wiegandt puts a biblical quote on the home page of her website and one is led to believe that Ms. Wiengandt is a person that has morals that are based on that which is taught in the Bible, it is deceitful, manipulative and treacherous. You see, unbeknownst to her unsuspecting victims, Ms. Wiegandt is conveniently using the Bible to make it appear she has a certain set of morals or ethics. However, based on what Ms. Wiegandt admits to and demonstrates in her own video below, the Bible appears to be nothing more than a prop used to lure her prey into the pink pyramid. In a 2011 post on Pink Truth, it was noted how Mary Kay National Sales Director Dacia Wiegandt commonly lied to customers by telling them she didn’t have a certain product just to be able set up another time to recruit the target. Note on the training video below, Ms. Wiengandt demonstrates the tactic described above. How many thousands of their victims have let dishonesty, like a virus, infect their own lives, thanks to Mary Kay predators like this? If Ms. Wiengandt truly adhered to the Bible that she so willingly uses, she would know that dishonesty is frowned upon in the Bible–yet that is what she teaches. Like a wolf in sheep’s clothing, Ms. Wiegandt is just another example of the deception and manipulation so prevalent with Mary Kay Cosmetics’ predatory sales force. 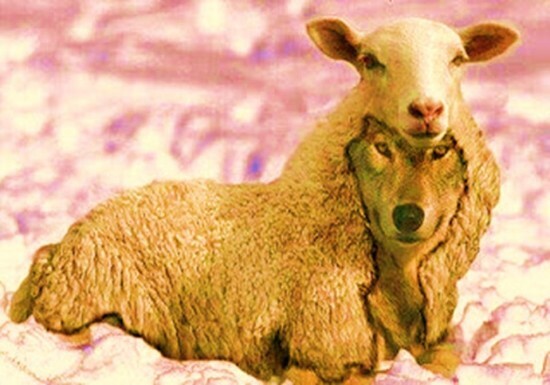 4 Responses to "Wolves Dressed As Sheep: A Mary Kay National Sales Director Demonstrates Deceit In Sales"
Who made you? Answer: God made me. love him and to serve him in this world and be happy with him in the next. Flatt and Scruggs fiddling to the theme from The Beverly Hillbillies. This is so spot on! There is NO doubt in my mind, that Mary Kay is a cult. A very dangerous one. Watching Dacia’s video for the first time a few things stuck out to me. 1) She actually talked the first girl out of using her VISA card- Dacia steered her towards cash or check. Dacia- isn’t the fee for accepting VISA a tax write off? 2) The hostess wanted to pay by American Express. Does MK accept AM EX now? I know when I left in 2006 they were only accepting MC/VISA? Again, Dacia asked her if she sure she didn’t want to pay by check or cash. The fake writing on the sales slips and the hostess package is just a turn off. It is so obvious all of it was staged- making the sales pitch no so believable.